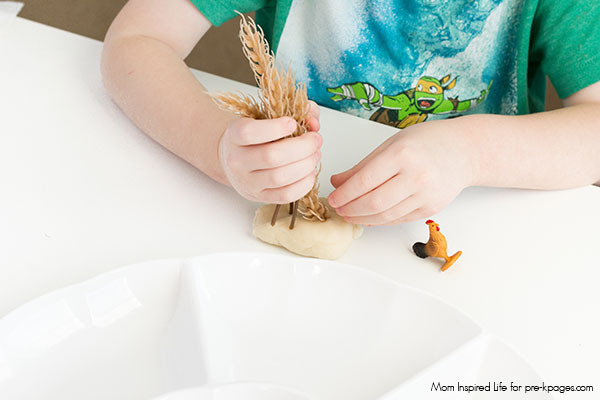 This Little Red Hen play dough activity is an engaging extension to the popular book. 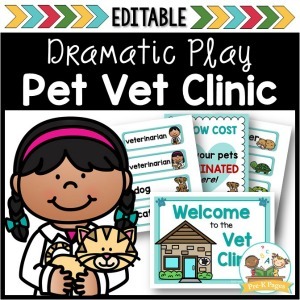 It gives children the opportunity to connect with the book on a deeper level while practicing story retelling and more! My kids love play dough, so I often look for ways to incorporate play dough into our lessons. 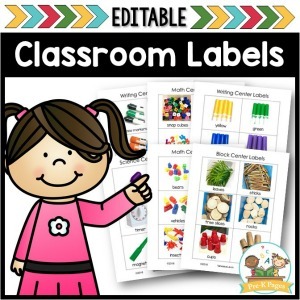 One of my favorite ways to do this is to create play dough book extension activities. This The Very Hungry Caterpillar play dough invitation was a huge hit! I think it’s a great way for my kids to connect with the book, make sense of the story and practice valuable literacy skills like story retelling while laying the foundation for writing their own stories one day. It is also a wonderful way for children to develop oral language skills. 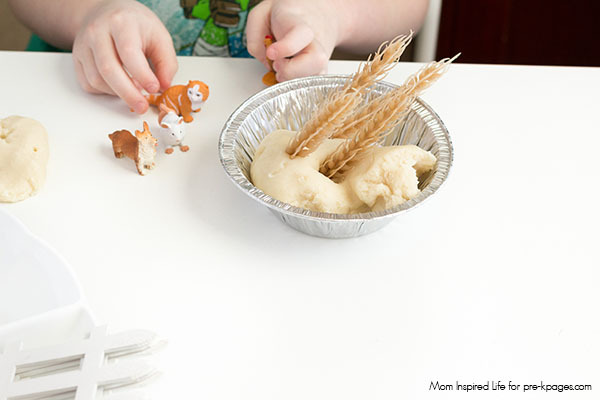 Even a few simple supplies can be the catalyst for a fun and engaging play dough invitation. 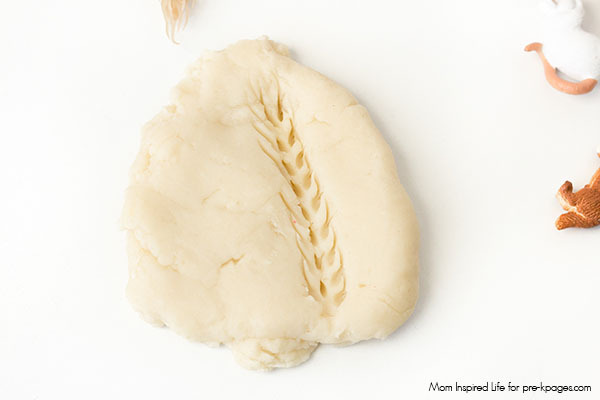 Make your play dough, but don’t add any coloring or scents. It should look similar to dough you would use for baking. Put all of the supplies in a sectioned serving tray so they are well displayed and inviting. We found our tray at the dollar store. I always start out by reading the book, The Little Red Hen by Paul Galdone – even if we have already read it before. This way the story is fresh in their minds when they do the play dough activity. 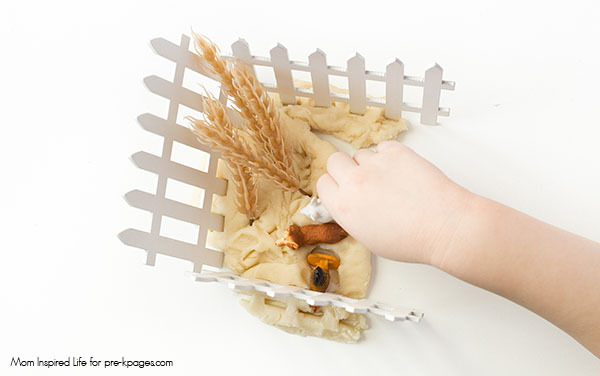 After the story, invite the kids to explore the items and play dough on the tray. I don’t tell them how to play with it or what to do with the supplies. They are usually very excited to jump in and engage with the items on the tray on their own. Almost immediately the children begin to practice retelling the story themselves. They usually summarize the story or pick out their favorite parts to reenact. Sometimes, they create their own stories about the characters in the book. On this particular day, my son retold many of the parts of the story, but when he got to the part where the hen ate the cake all by herself, he decided that it would be nicer if she shared it with the other animals. So they all dug into the cake and ate it. I could see his wheels turning. He was thinking about what he would do in this situation. He was processing whether he agreed with her reaction or not. And in the end, he decided that he would make a different choice. 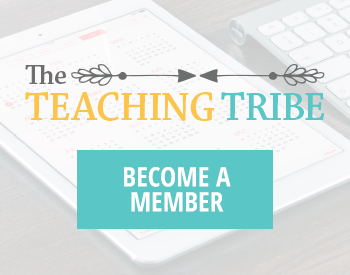 This invitation opened the door for him to explore these thoughts and opinions for himself. 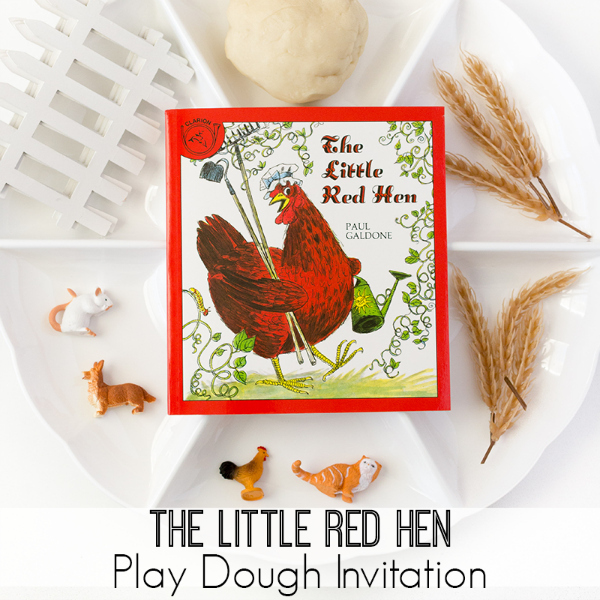 My three-year-old was very excited about The Little Red Hen play dough invitation, but she isn’t able to retell large parts of the story yet. She simply enjoyed interacting with all of the characters and making cakes in the pie tin. It was an excellent way for her to engage with the story in a hands-on way. Plus, it is great for fine motor development. I can’t wait to create even more story-inspired play dough invitations! BIO: Danielle is a former elementary teacher, a mom of two and now shares playful learning activities at Mom Inspired Life. 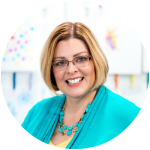 Check out her Engaging Alphabet Printables and make sure you subscribe to her newsletter to receive activities straight to your inbox! 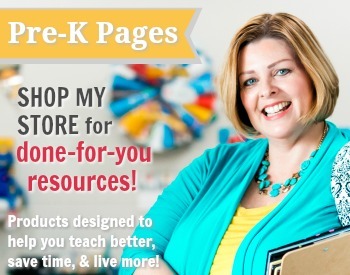 You can also follow her on Facebook, Pinterest, or Instagram. 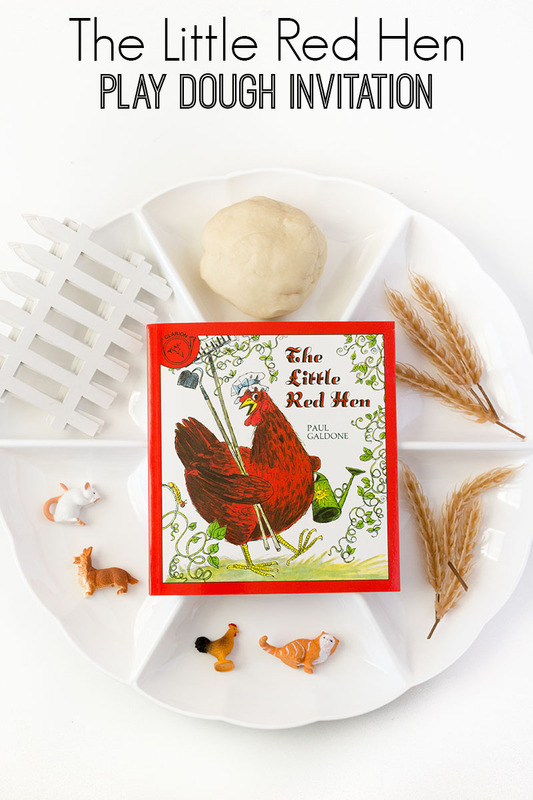 Also check out the Little Red Hen Literacy and Little Red Hen Math lesson plan ideas.